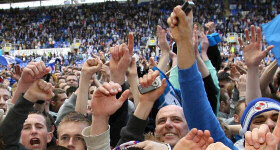 If you are passionate about football and passionate about Reading FC then join us at STAR. Away Travel: STAR runs coaches to all first team away games, for members only, at great value prices and provide a service that allows 14-17 year-olds to travel independently. 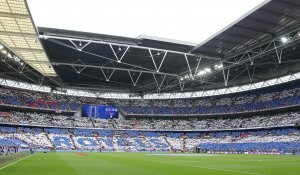 Representation: STAR is a democratically accountable, community-minded non-profit making supporters’ organisation dedicated to representing the views of Reading fans to the Football Club, football governing bodies authorities, the media and the local community. The more members we have, the louder our collective voice is! Fans’ Forums: Free entry to members-only Question and Answer evenings with key RFC people – players, management and other staff. Fans’ Forums are held throughout the season. 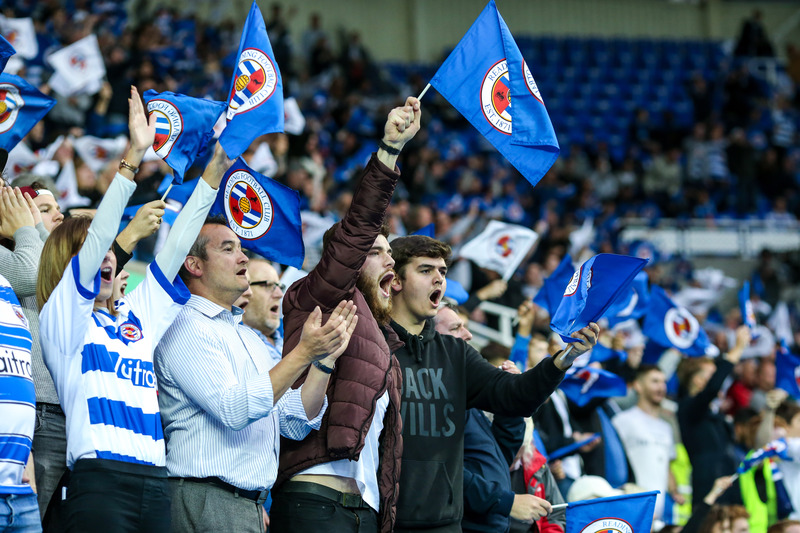 Royalty Points: For the 2018-19 season STAR members receive 20 Ticketing Points (for all) and 50 Royals Rewards Points (if you’re a season ticket holder) added to your RFC account. MegaStore Discount: Members receive a voucher for 10% off at the Megastore (Discount voucher only valid for personal visit at Megastore and not currently for purchases online). Communications: STAR Bulletins are sent by email to members roughly once a fortnight with all the latest events, travel news and STAR views on important issues (please note our email policy to reduce spam below). Once a season members receive our magazine Reading Matter which takes a serious and a humorous look at Reading FC and STAR. Free enamel badge: For the first one thousand members to join in 2018-19 who pick up their membership cards at STAR base. Share Ownership: Each Trust Member owns a £1 nominal share in the Trust, and each eligible member has the right to stand for election to the Trust Board, to vote in the election of Trust Board representatives and to attend the AGM. (NB Under Trust rules, members must be aged 18 or over to vote – members under this age join as ‘affiliated members’ and are not eligible to vote or stand for Board membership). As part of our continued efforts to improve email communication to members we operate a strict member e-mailing list incorporating the latest best practice. When completing your membership application we use the email address from your application to contact you with our Bulletins and Reading Matter newsletters. We have found in the past that some email accounts on our mailing list become outdated during the season, become full or otherwise unavailable, especially web based accounts such as Gmail and Hotmail and repeated attempts to send to those addresses can unfortunately be interpreted by internet providers as spam. To help improve deliverability and avoid problems associated with spam filters, emails returned to us as undelivered or unavailable are automatically removed from our main mailing list. We will make a further attempt to contact those account holders to re-subscribe but if unsuccessful those email addresses will remain off our mailing list. You can also help by marking our address of e-star@star-reading.org as a ‘friendly’ email in your spam filters. We hope this will lead to an improvement for the vast majority of our members. Should you find you have not been receiving emails from us, and have checked your spam filter, please contact websupport@star-reading.org with your details. Joining STAR is simple and straightforward! Our membership season runs from 1st July to 30th June to match the football season. Our membership fees are £10 for adults and £5 for under 18’s and 65 and over’s. You can join online for the 2018-19 season here. Payments are made securely using debit or credit cards via PayPal (you do not need to have a PayPal account, but have the option to use one). 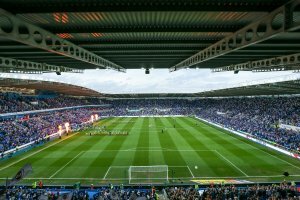 For Membership purchased online it is anticipated that the membership cards will be picked up in the STAR base shop at the Madejski. The option is provided to pay for these to be posted to you. Exiles members (i.e. not in post codes RG, SL, OX, GL) can receive membership cards by post inclusive in the membership fee. If you have any membership queries please contact 07423 747225. You can download a copy of the STAR Rules here. STAR processes personal data in respect of members and occasionally third parties in order to fulfill its roles and obligations. Although STAR is a ‘Not for Profit’ organisation that is exempt from registering with the Information Commissioner, it still complies with the provisions of the Data Protection Act 98 to ensure that your rights are properly protected. Our data protection policy outlines how STAR will comply with the law and protect your rights. You can download a copy here. Not yet ready to join STAR as a full member? We don’t share your email with any one else, simply add it below and we ask you to verify it from the email we will send you. We look forward to welcoming you to our virtual STAR community!